IBEW 1245 is proud to participate in the NSC Labor Division. To get involved, contact Rich Lane at rvl5@ibew1245.com. 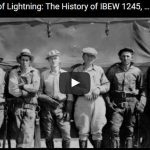 In honor of International Women’s Day on March 8, we’re sharing stories of the women of IBEW 1245. Join the conversation on social media with the hashtags #InternationalWomensDay, #IWD2018, #PressForProgress and #WomenofIBEW. Part 7: The Philosopher and the Mechanic To view previous installments of the history video series, click here. Part 6: One Big Union To view previous installments of the history video series, click here. 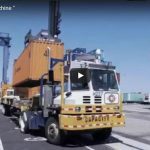 Part 5: The Longshore Strike To view previous installments of the history video series, click here. The third installment of our “Fist Full of Lightning” history video series is here! 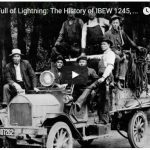 Watch and learn all about the monumental 1913 strike at PG&E. 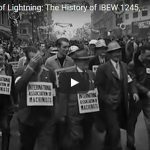 If you missed the first two installments, you can find them at www.ibew1245.com/historyvideos. Question 3 is a handout to billionaires at our expense. If Question 3 passes, utility rates would go sky high, and we’ll lose important consumer protections for low income and rural Nevadans. Vote NO on Question 3!